And it has happened again. 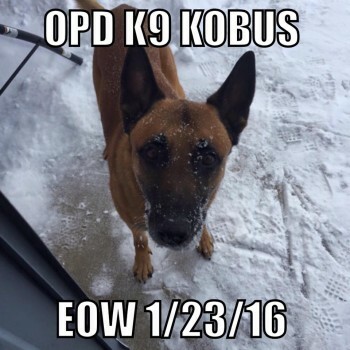 K-9 Kobus of the Omaha Police Department was gunned down yesterday. It is with very heavy hearts we announce that OPD K9 Kobus gave his life heroically today in the line of duty. Kobus was on the scene of a barricaded gunman who shot and killed him in the area of 83rd & Keystone Drive. Please keep Officer McKinney, the OPD K9 Unit, and the Omaha Police Department in your thoughts and prayers. Our prayers are with the citizens and protectors of Omaha. Rest well, Kobus. Others will take the watch from here. Good boy.